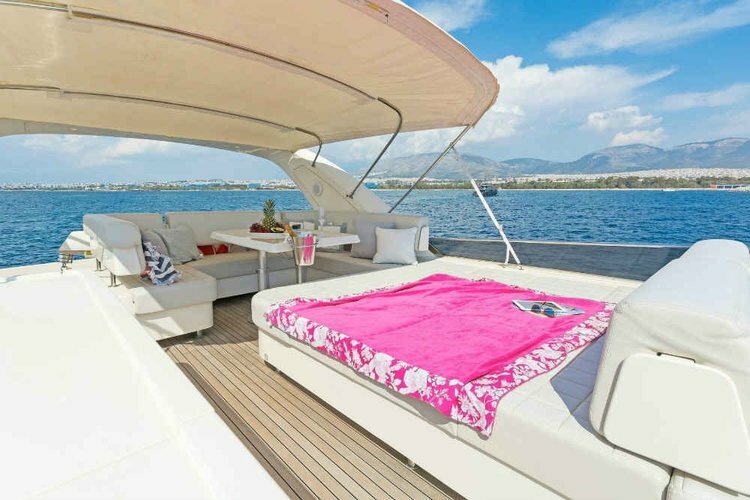 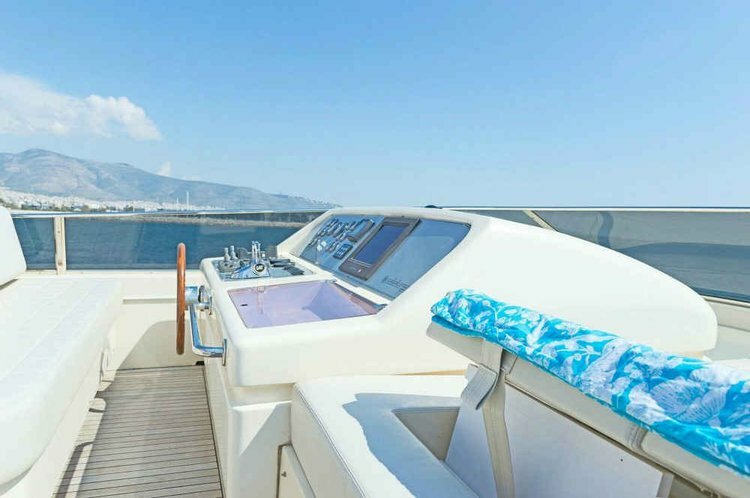 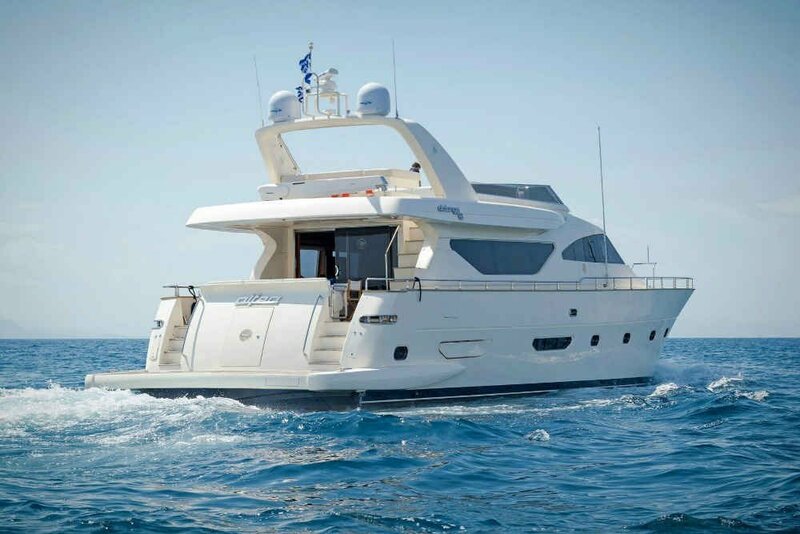 The marvellous Alalunga 78 is a motor yacht available for crewed charters throughout Greece. 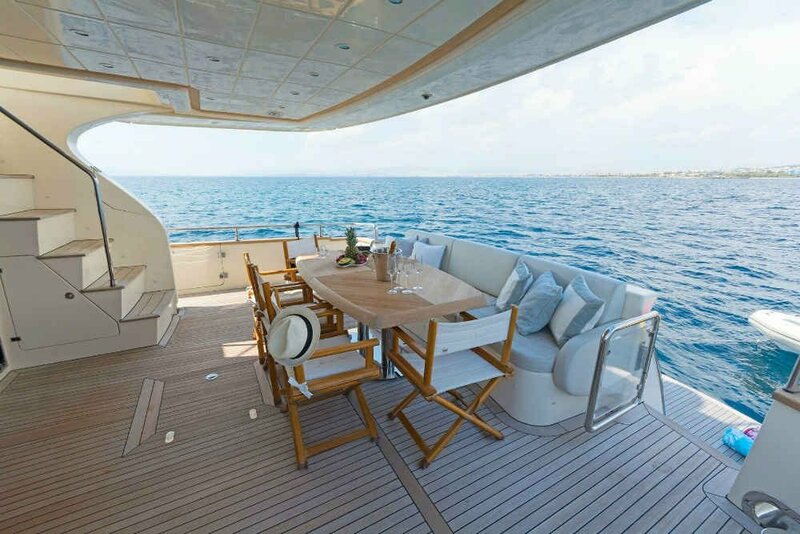 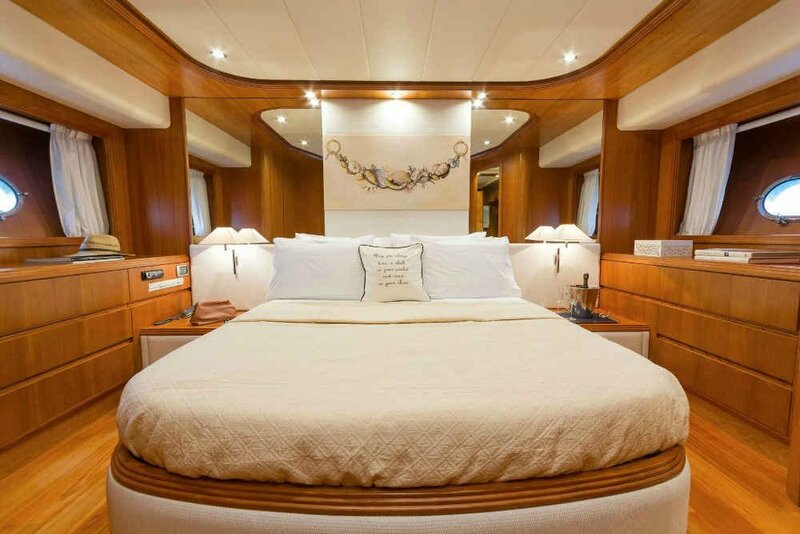 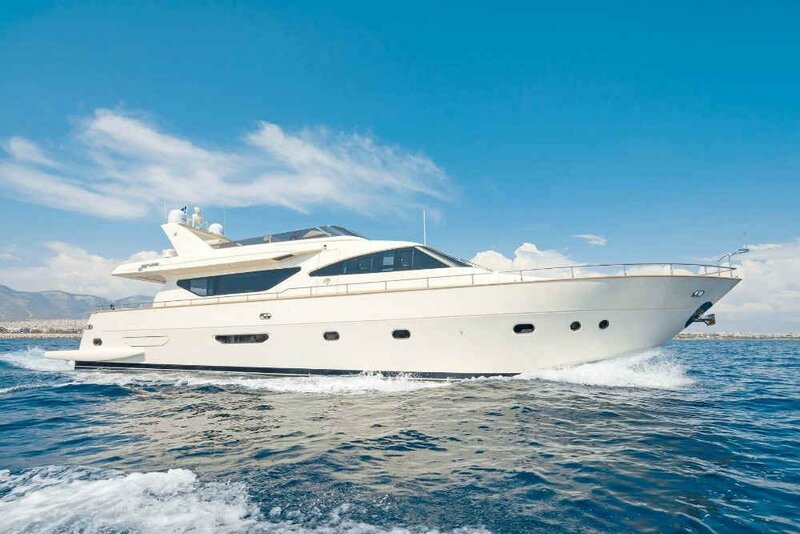 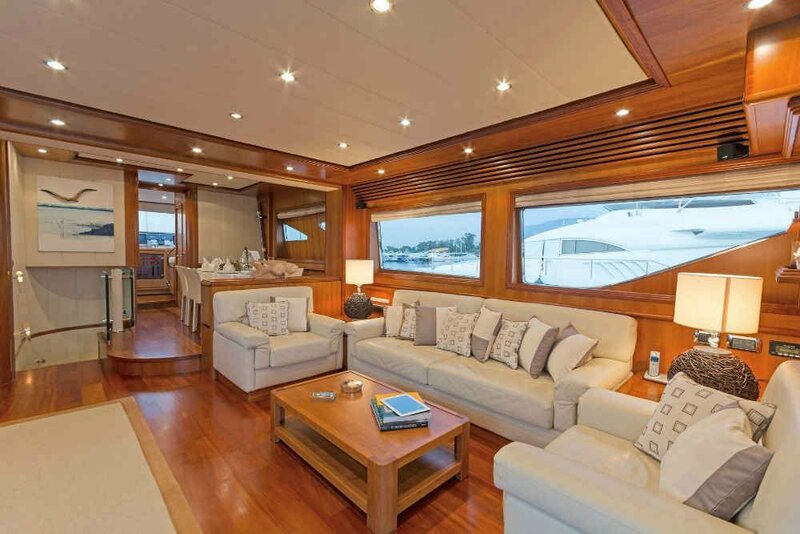 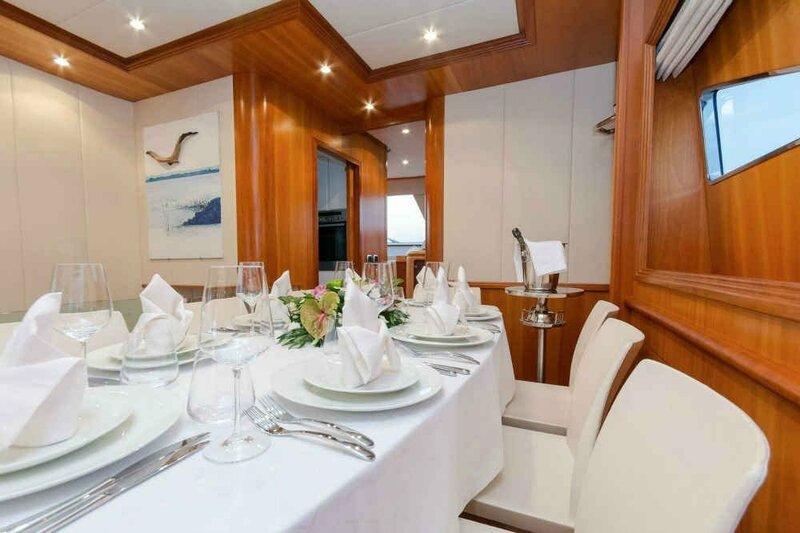 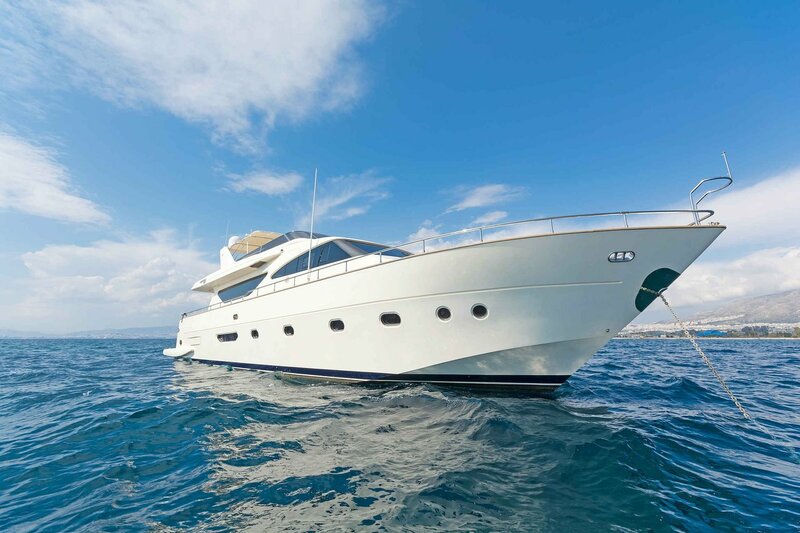 This beautiful Alalunga 78.3 delivered in 2008, accommodates up to 10 guests in four luxurious cabins. 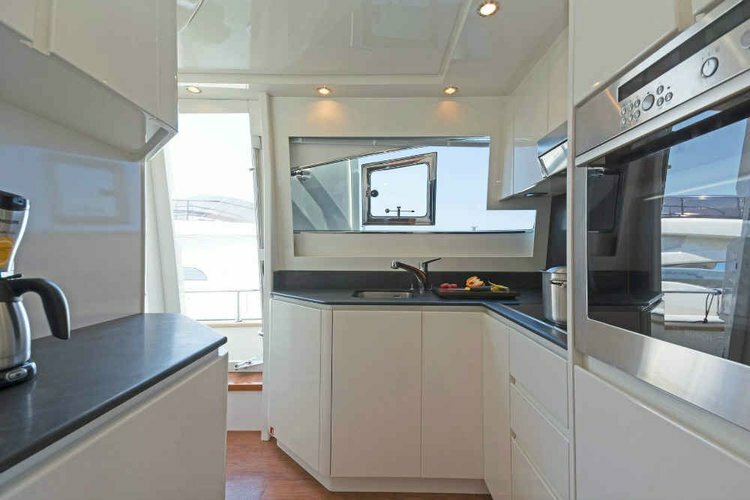 Presenting a light and stylish interior with elegant lines and creme colours. 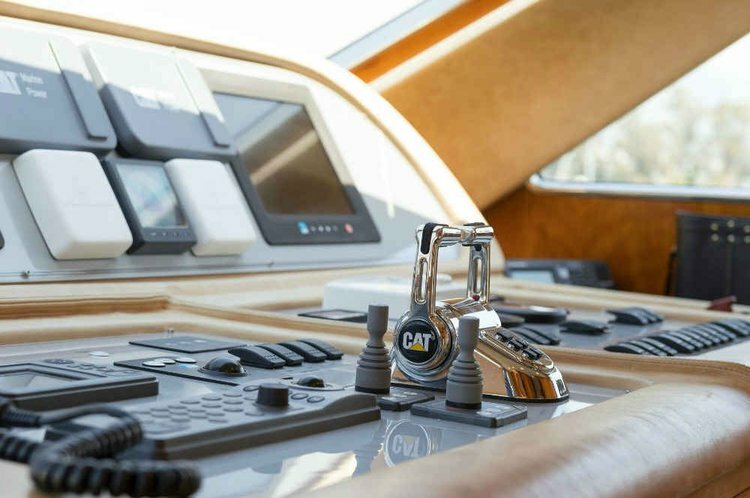 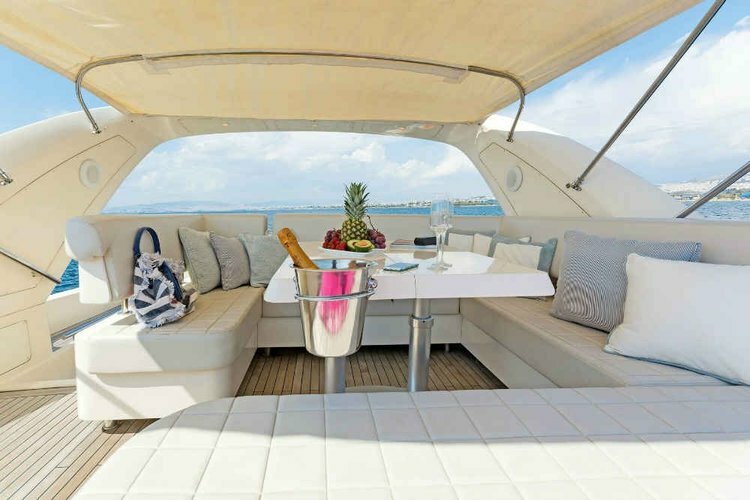 It is the ideal yacht for lounging and relaxation. • General amenities: TV/DVD, Sat TV, indoor/outdoor audio system, generator, water maker, ice maker, onboard WIFI internet access, full A/C, home cinema, mini Mac. 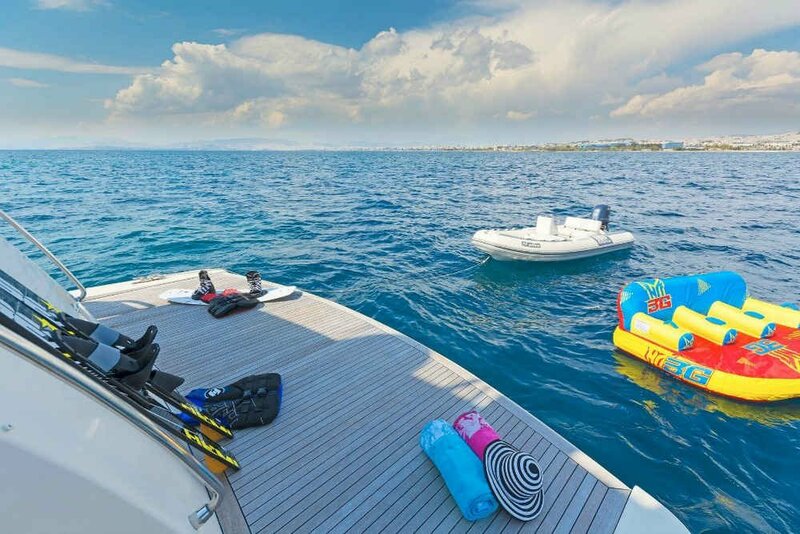 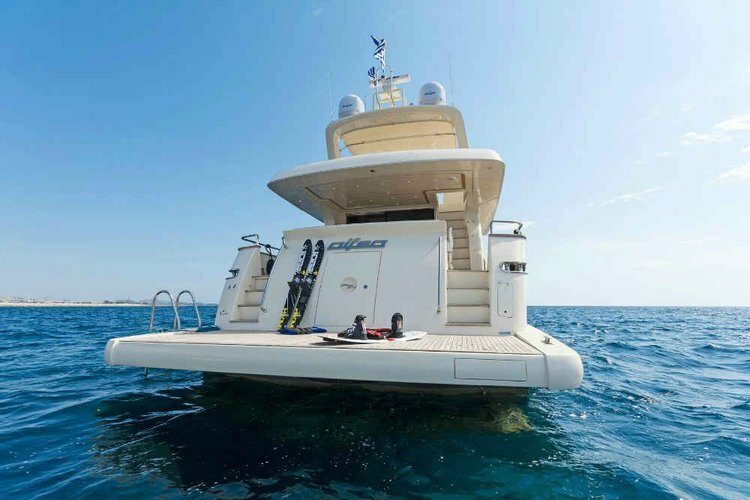 • Tender & toys: Tender: 4.2 new Novurania 60HP YAMAHA, waterskis, SUP, Snorkelling and fishing equipment. 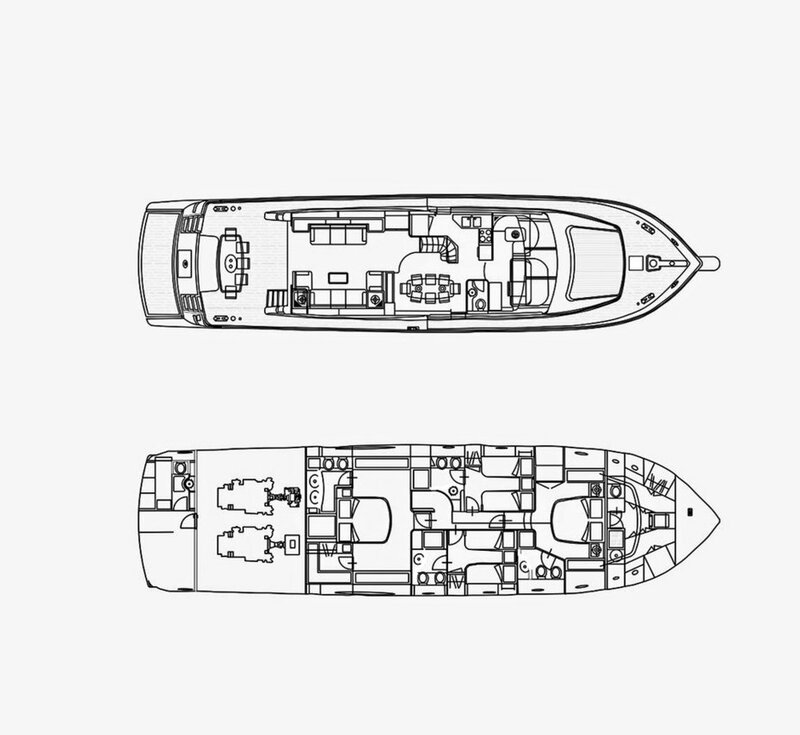 You will receive a customized answer within the next 24 hours. Please note that the proposal is based on the information you initially provided. 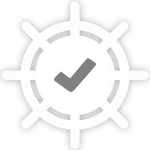 So, do not hesitate to include in your request any information you consider important or to contact us again if you need more information/clarifications.